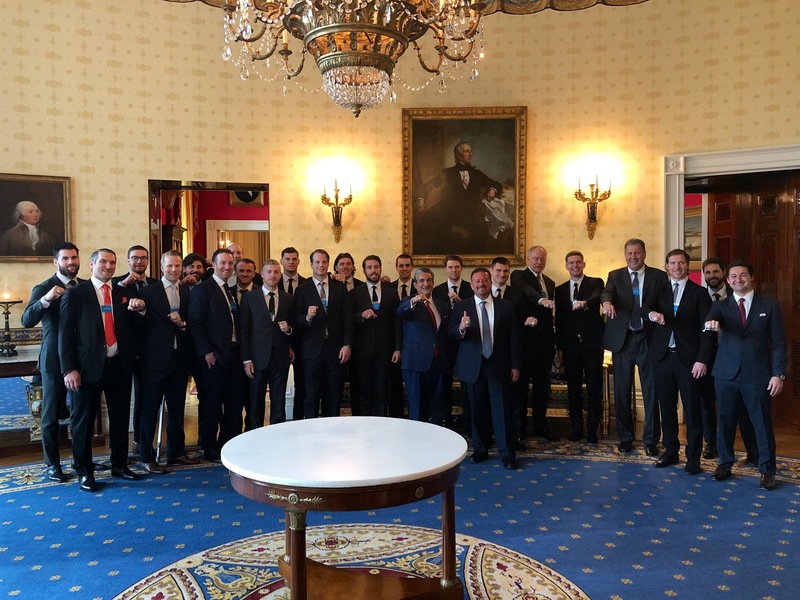 The Washington Capitals celebrated their first Stanley Cup Championship in franchise history for one final time when the team visited President Donald Trump in the White House on Monday afternoon. 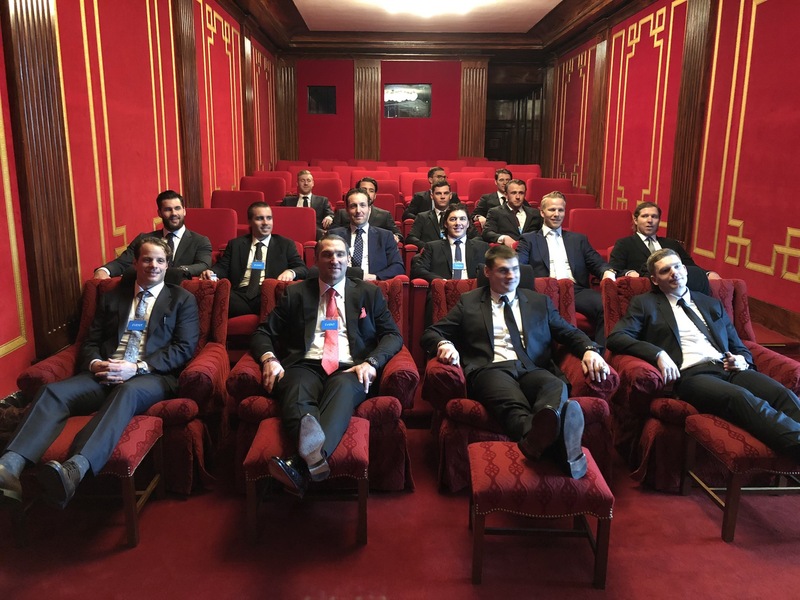 After getting a tour of the White House, they waited in the Roosevelt Room prior to going into The Oval Office. 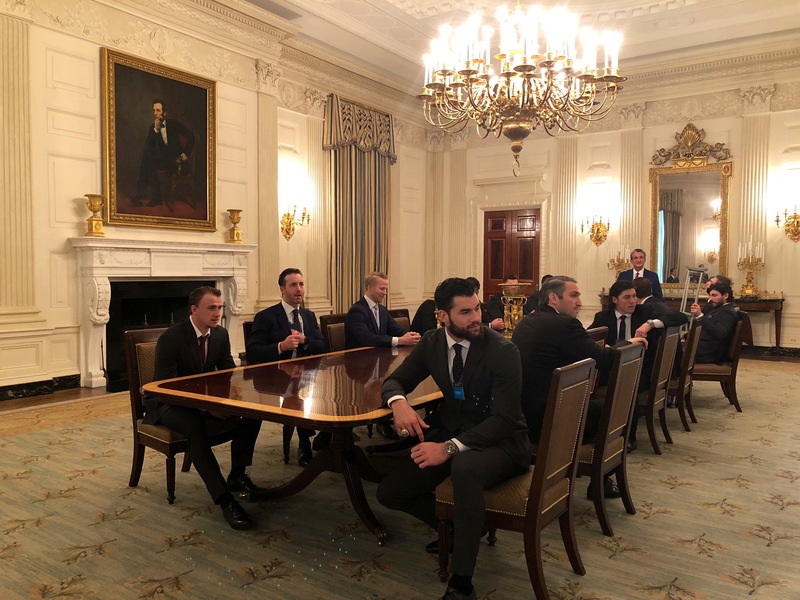 When Trump called them in, the team organized and put the Stanley Cup on his desk. President Trump invited Capitals owner Ted Leonsis in addition to captain Alex Ovechkin and defenseman John Carlson to say a few words. He later stated that he thought the Capitals could “do it again” and wished the team luck. 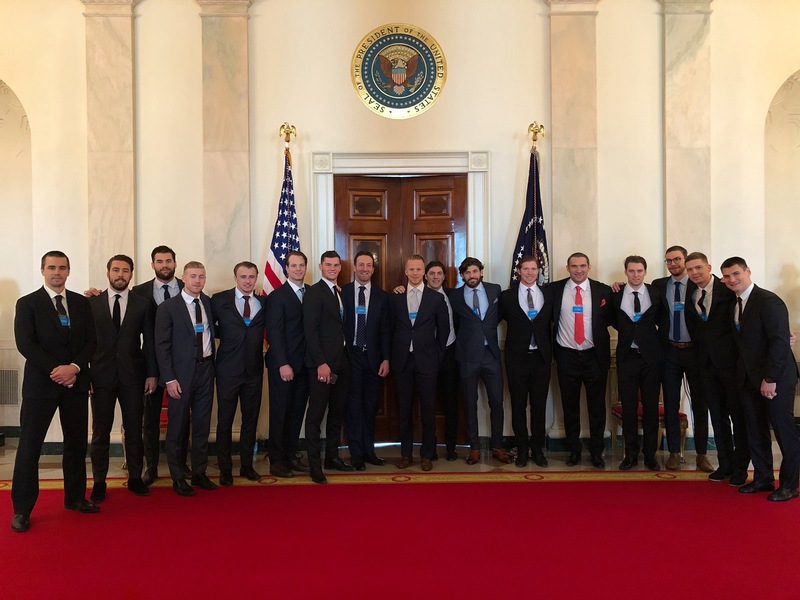 President Trump summarized the Capitals’ Stanley Cup run last Spring and touched on a few milestones reached throughout the postseason by individual players. Every individual coach and player got an individual picture with President Trump. At the conclusion, Leonsis thanked the President and the Capitals fans in attendance for hosting the club while they were in the White House. The Capitals also presented President Trump with a commemorative stick. Now it’s back to work for the Capitals as they have six games remaining before the road to a repeat begins when the 2019 Stanley Cup Playoffs get underway on April 10. Honored to be a guest at the White House. Thanks a lot for the hospitality. 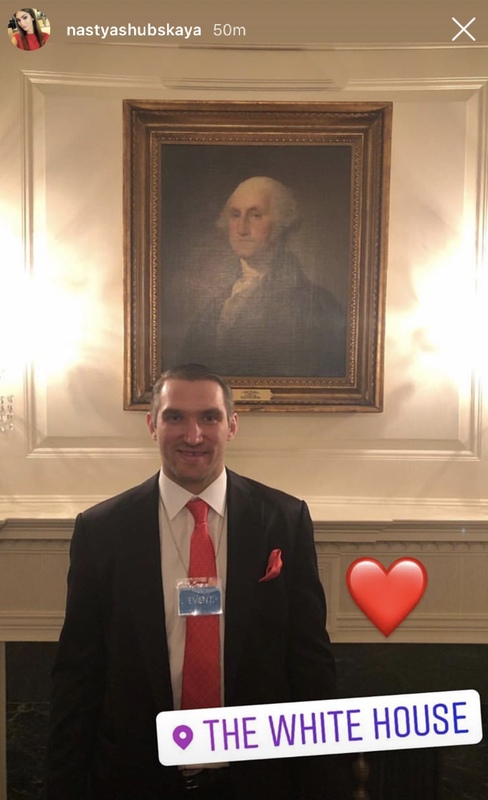 This entry was posted in News, Washington Capitals and tagged 2018 NHL Stanley Cup Champions, Alex Ovechkin, Donald Trump, Harrison Brown, Stanley Cup Champions, Ted Leonsis, Washington Capitals, White House. Bookmark the permalink.